I learned how to drive when I was 16 y/old and got my professional (take note) when I turned 18. 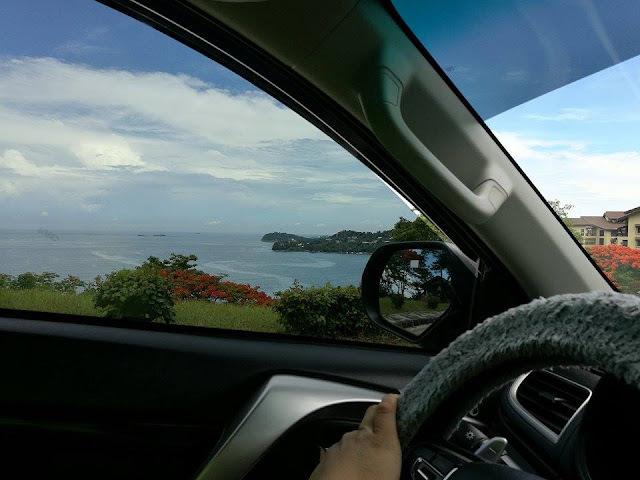 Because there were only very few driving schools back then, it was my tatay who taught me how to drive defensively. At first I really didn’t want to drive but because of our business and being the eldest. I was tasked to pick up and deliver some materials from our shop in Manila to Makati. Back then, the streets of Manila weren’t as congested so it was a bit more-friendly for women drivers like me who were still learning how to drive. Unfortunately, the same couldn’t be said about my experience at the Land Transportation Office. If I recall correctly, Tatay had to meet our clients so I had no choice but to go to the LTO to register our vehicle. I arrived a bit past 8am, just as they opened but there was already a long line. I was standing for almost an hour when a “fixer” approached me from asking if I wanted help in processing my papers “faster.” He then went on saying that he had an “contact” inside who can help facilitate everything in an hour or so including stencil, plus insurance, everything. All I had to do was pay an extra P1,000. As tempting as I might seem, I didn’t have that extra money. He left and saw him approach a few other people in line offering his “service.” After about 20 minutes, he came back reducing his offer to P800. This was in the 90’s when P1000 was still a big deal. I told him I didn’t have the money, but he was really getting persuasive, telling me that I would be spending the whole day in line--unsure if I would even be able to file our registration. He eventually left and he was right it took me almost five hours to finish processing our registration. 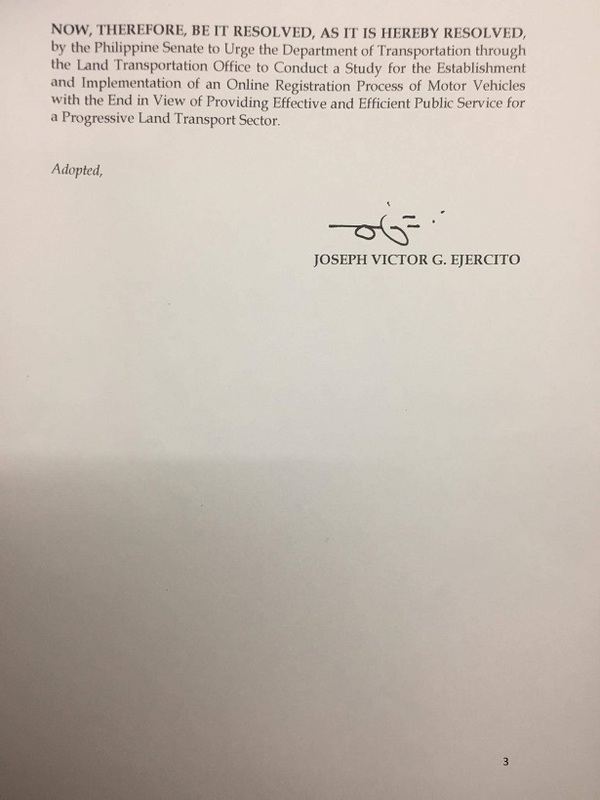 When I got home I told my tatay the story, and I was shocked when he told me that there were really a lot of fixers at the LTO, it has already become the norm—that some corrupt official really make you wait long so you are forced to pay these fixers just to get things done. 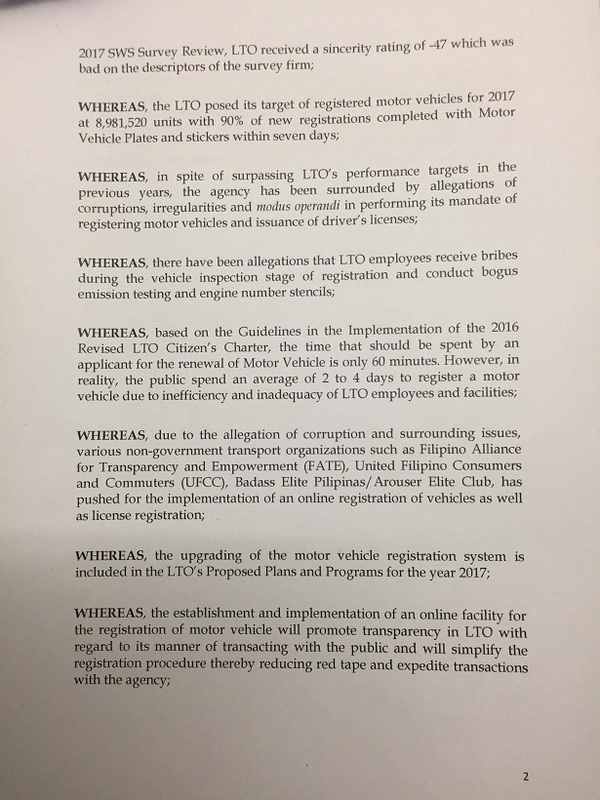 Its been a long time since I last went to the LTO and I heard that the agency is trying to improve its services and eliminate fixers especially during the current administration. President Duterte had described the LTO as one of the most corrupt agencies in the country even naming some of the agency officials. 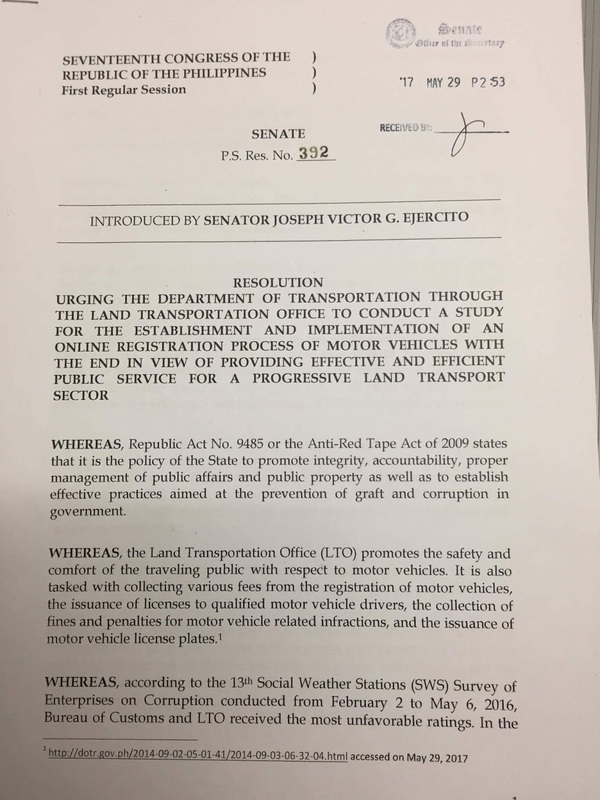 I also heard that Senator JV Ejercito has filed a bill to automate vehicle registrations (and eventually every transaction at LTO) with the aim of eliminating corruption by removing the human element. 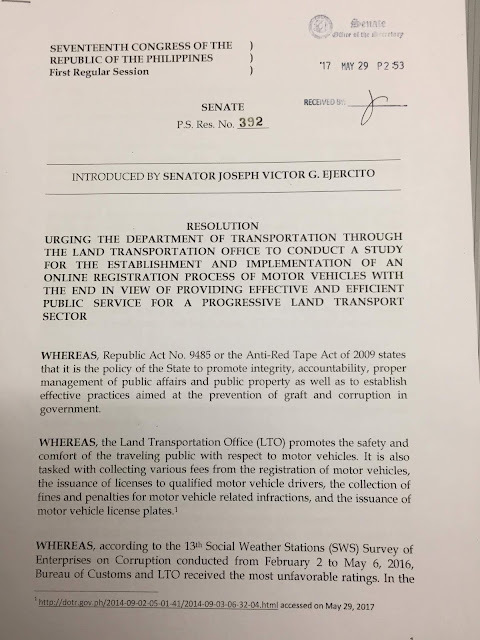 I think this is a very timely bill and a very important one, especially with all the traffic problems in the city. 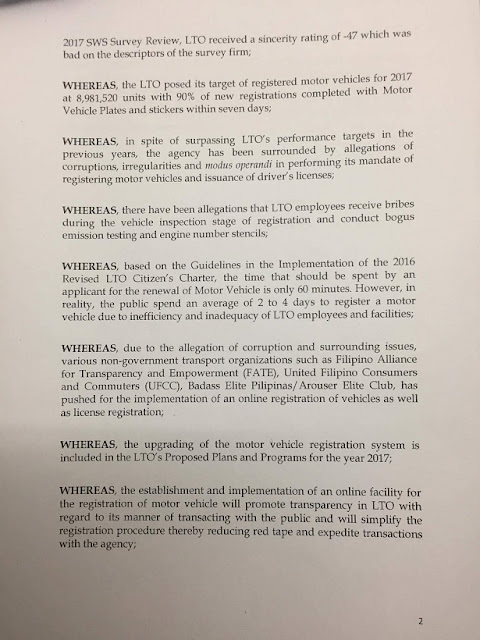 Especially if you are a mom with kids, going to the LTO will just be a waste of time and would disrupt your schedule. But with the Human element removed there would be no more opportunities for these fixers to harass vehicle owners.